Long plaits aren�t just one of Marta�s physical characteristics. Marta, the main character in I loved them, is a dreamy and sensitive girl who spends her life worrying about her mother�s health; she grows up and comprehends that things are no longer the same. 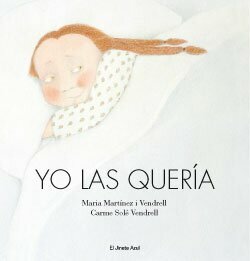 This deeply literary text by Maria Mart�nez i Vendrell, with illustrations by Carme Sol� Vendrell, tells a tale of growing up with a tender subtlety, similar to the very process carried in human beings. In 1983 the book was deservedly awarded the Apel�les Mestres prize.